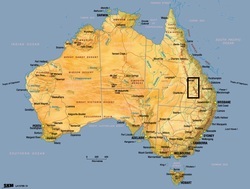 Australia is a vast isolated country with a long history in a horse and cattle culture. Sheep and dirt farming too but I can’t tell you much about that. Like America, the styles of working cattle and the types of horses used vary greatly due mostly to the terrain that the stockmen have to contend with. Oddly enough, most cattlemen really don’t know what the other cattlemen do in other states. There are plenty of records about who owned what and who made the most money but little records of the day to day working life of a stockman. As a result of that, techniques are slowly lost as the good stockmen all retire to town with no-one to pass on their stories to or no-one interested enough to write them down. 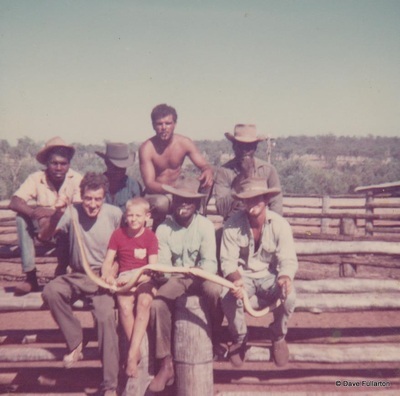 My story is about the stockmen who worked mainly around central Queensland which is some of the wildest country in the whole of Australia. 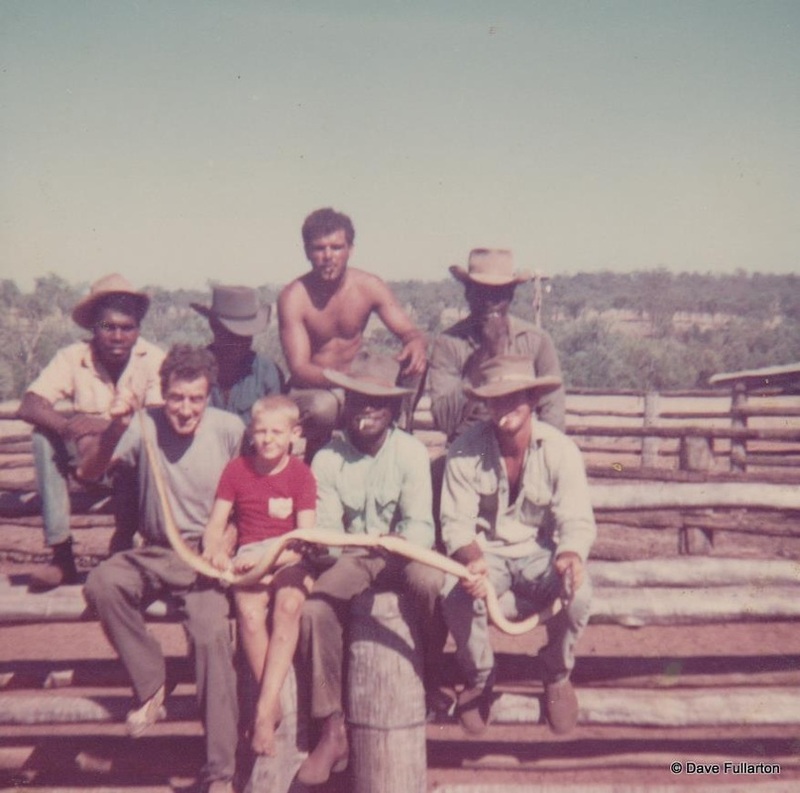 Back in the 1960s and 70s the cattle stations (ranches) were large tracks of land in mountainous, scrubby country traversed with dangerous break away gullies. 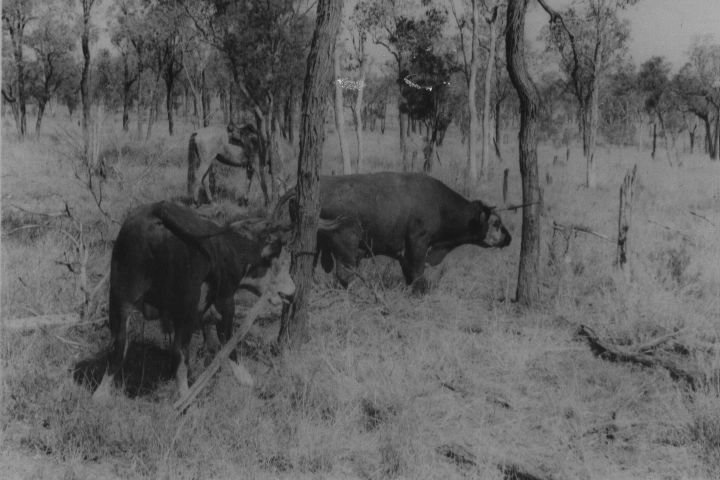 Unfortunately for the traditionalists, many of these particular cattle stations are now cut up into smaller blocks and much of the timber has been pulled making mustering (gathering the cattle) much easier. But back in the day, a clean muster was hard to accomplish and consequently cattle became wild and bred even wilder cattle. To put this simply, cattle that have never seen man before. Of course like today, the cattle business required for cattle to eventually get to market so you take what you have and make the best of it. There was a certain attitude that was common amongst cattlemen in that area at that time. I recall a manager asking a cattle station owner if he could buy a tractor to help improve a small portion of land to feed the stock horses. The answer was quick and straight. The owner said, "we are cattlemen and not bloody farmers." In fact, if you wanted to insult someone you would simply call him a farmer. That would get you into a fight quick and easy. Nowadays, the country is much improved by the introduction of better grasses and their cattle carrying capacity is far greater. Also, as a consequence of these factors, the cattle are much quieter to handle but there are still true wild cattle on some of the larger cattle stations in that area. 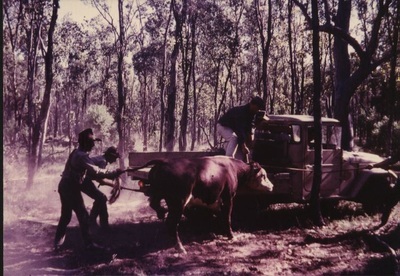 Mind you, there are still wild cattle over other parts of Queensland and in the Northern Territory but it is flatter more open country and the techniques vary accordingly. 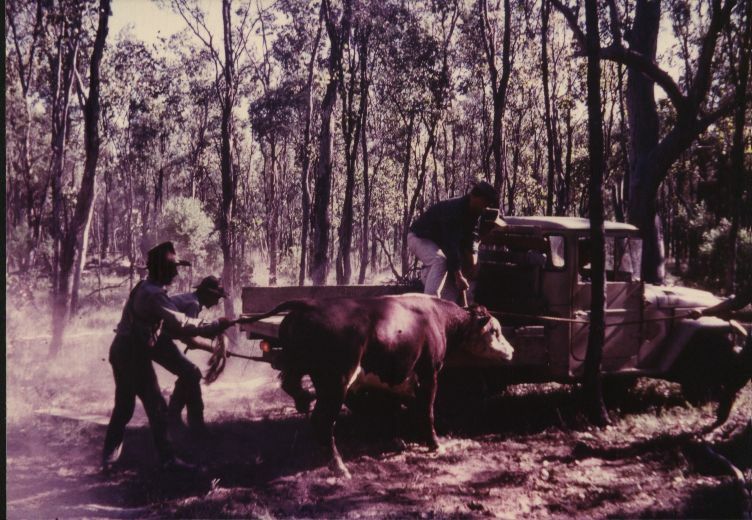 I believe that one of driving factors for stations to hire big teams of men and to go to such extremes to catch cattle was that around that time (60s & 70s) the cattle prices had gone up and men’s wages were comparatively low. It was sort of a cattle boom and money could be made from even the wild bulls instead of the normal practise of just shooting them to stop them from breeding with the better cows. But let’s get back to the story where a horses’ breed was simply explained by saying “out of the mountains by hard riding”. If you were to ride on a mob (herd ) of wild cattle, all you would hear is the crack of timber as they galloped away and the smell of manure which is a result of them jumping up from where they might have been camping (lying down). 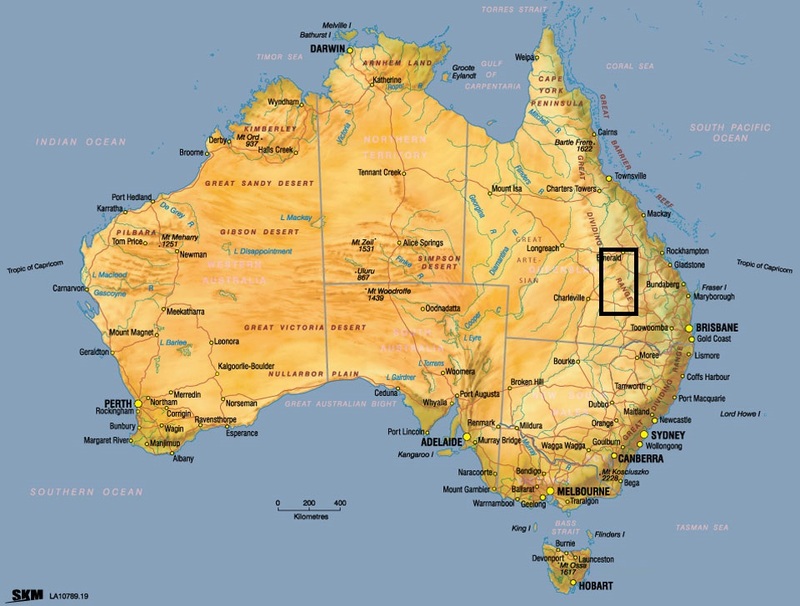 I need to teach you some of our Australian outback lingo (way of talking) so pay attention now. To work in this country at that time, only stout hearted men needed to apply. I have heard bull riders say that it is not how bad you are going to get hurt, it is when. That is a bad attitude in any case but if you think like that while running scrubbers (wild cattle), then you might as well get on the next mail truck and head to town. Believing that you will someday get hurt will only bring on your worst fear. I guess you could arguably call these men fearless to a certain extent but the driving factor is that once you jump (find) a mob of cleanskins (unbranded cattle), the blood pumps and the adrenaline runs to the point where you think that you can ride through a brick wall and come out the other side unscathed. Here is the scenario and I invite you to use your imagination and become part of a tradition. You have half a dozen ringers (stockmen) or so and you are going out to the backblocks to run cattle. Pack horses were still used from time to time as much of the country didn’t have roads that were passable for vehicles. The out station would be maybe 10 miles from the homestead and once you arrive with the pack horses and spare saddle horses you would put up some tents and make camp. There would generally be a rough lean-too (tin roof) and fire place which becomes the camp cooks domain. Of course, packhorses were not required all the time and sometimes there would be a road which would allow you to bring in more provisions and articles of comfort such as tables and chairs. 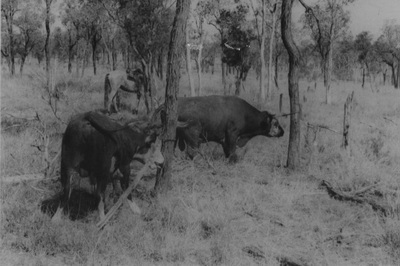 The camp would always have a timber set of yards (corrals) as Australia is blessed with a lot of hard wood trees. Also, most camps were dry camps which meant no alcohol in the camp at all. That was mainly because in these remote stations the only things to do were to work, drink and fight. Take away the drink and you take away the fight. That is why going to town from time to time was met with such excitement by the stockmen and dread by the town folk. Next morning before sunup you head out to catch a 16 hand high rangy feather-footed gelding that at best got ridden once a week and was basically bred for toughness alone. He would be shod but it was probably finished while he was upside down in the dirt with you sitting on top of him. Every man shoes his own horse plant (string) of about 6 horses and the only help you would get is another stockman might hang off his ear to take his attention off of you. As you walk out into the yard, there he is snorting and shaking. By this time you are well and truly wide awake and you seriously consider leaving your spurs hung on the fence while you get the tightness out of him first up. All goes as you expected when you hit the saddle. He explodes as you let go of his mane and slid up under the knee pads (bucking rolls or swells). If all goes well, you as still there when he finally pulls up but still shaking in the corner of the yard. If not, you get back on and go again because out there you are in this fight on your own. Getting back on and winning the war is not an option here either. Unless you want to join the camp cook that is. Eventually you will get him settled down and out of the yards you ride with a bunch of cross bred brindle dogs trailing along yelping and fighting. Your tools of trade, well that is simple. A few bull tying straps, a short horn saw and possibly a pair of stake pliers. You will need the pliers to pull out the wood stakes from the Brigalow trees that you and your horse will most probably experience during the day. You ride for an hour or so and a roo (kangaroo) jumps out from behind a large ant nest. The horse you are riding roots (bucks) and he nearly gets you this time because you were in the process of rolling a smoke (cigarette) with your reins draped over your arm. Things settle down and all of a sudden the head stockman stops his horse and points into the scrub. You stop and you can hear timber crashing. Next minute the head stockman gives rapid instructions for you to all split up into two groups. What you will notice right at that moment is that you can all of a sudden feel you horse’s heart pumping through your stirrup irons (steel oxbows) and he is up on the bit. The moment you light out (take off) this horse that you were just getting a handle on seems to have very little steering all of a sudden. He has been down this track before and a good horse will get you through the timber without running you up a tree . . . most of the time anyway. But, he will pull on those red hide reins until your hands cramp up. It is best to just give him his head and take a deep seat. You ride as hard and as fast as you can because the idea here is to try and gather and hold together a mob of cattle that are more inclined to scatter and run like a bunch of scalded cats. Then you spot a micky (young unbranded bull) who has his ears pinned pack and is making his own trail at great speed through the undergrowth. You turn and chase on your own through the timber as fast as the trees will let you because you are going to do, what they call, pump him out. Cattle and especially cattle in good condition can only run for about 200 yards or so at top speed before they run out of air and then they will just lope along from there on. Hopefully by that distance you have been able to catch him in the scrub. Remember these men need to ride very fast through thick timber and they need to outrun a micky who is more agile and in his element. Once you get to the micky and he is loping along you do one of two things but you need to do it very fast before he swaps ends which means that he bails up (stops) and turns to fight. You either jump from your horse and run the last few yards to grab the micky’s tail or you reach down, grab the micky’s tail and jump off landing right behind him. This is all done in a matter of seconds and any fear will make you hesitate just enough to leave you on the ground facing a micky that by this time is in fight mode. The flight mode only lasted until you got off your horse. Now, the real fun begins. The hair at the end of the tail is wrapped once around your hand as this is your life line and this comes loose, you are in a whole lot of trouble. The first thing the micky will do is to try and hook you and he will most probably have a good set of ivory (horns). As he tries to hook you, you pull his tail towards his head which brings his back end around and puts him off balance. You will be looking at him right in the eye now so step lively and don’t trip over those spurs. Pull hard enough and he will fall to the inside. If you don’t get him straight away you will be fighting him over logs, ant nests and long grass which is not recommended. Whatever you do, do not let that tail go. Eventually when he topples over, you grab his top hind leg, hold it high and wrap a bull tying strap around it. It then goes on top of the other hind leg and you tie them together. The idea here is that he will be able to sit up and even get up but he can’t get very far as he should be hobbled securely. If you actually tied him so he could not get up at all these wild micky bulls will just give up and die there. If a tree is close by, you could tie him on his feet to that tree where he would be ok for day or so. The next bit is a little gory for the city folk but must be done for your safety. You take out the horn saw and saw his horns off and not just the tips either. Anyone who has ever done this before will be aware that once horns are cut off short you can look down the hollow horn and actually see the micky’s brains. It if is not the brains, it is pretty damn close. You take a sapling (small tree) and hammer it into the horn a few inches. Once it is tight and you are sure that it won’t fall out, cut the protruding piece off with the horn saw. This is done to keep the flies out of the exposed skull. It takes cattle a little time to realise that their horns are not where they used to be so they have a hard time striking with the tips of their horns if you or our horse happen to get in their way. Now, get on your horse and continue the chase as there will still be stockmen yelling and galloping further on in the scrub. But the fun does not stop there either. Soon after that a few ringers will bring a mob of coachers along. They are usually quieter cattle that you have been able to gather and hold together and they are only referred to as coachers when you use them for this specific task. In a general sense, a “herd of cattle” are called a “mob of cattle” and in Australia saying herd of cattle will only reveal that you are from the city and have watched too many John Wayne movies. Gathering the coaches will also take a bit of doing because there isn’t much around there that has ever been handled before and it be probable only cows and calves that they have been able to gather. The deal is, when you let that micky up, you want him to run to the coachers for protection. To make this work, the micky needs to be able to see the coaches and they are best held about 50 or so yards off. I guess you were wondering about the dogs and this is where they come in. If the micky is up on his feet when you get back to him, you have to put him back down the same way you did before to gets his straps off. He is not going anywhere but he is pissed by now so you might need the dogs to hang on him a bit to take his attention away. 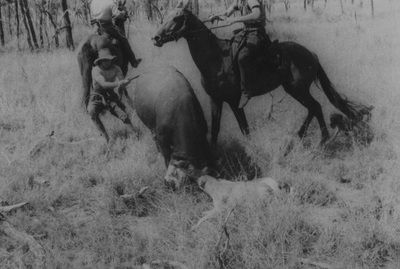 You throw him back down, slip off the bull trying strap and put the dogs onto him. Don’t be found standing there when he hits his pins (Stands up) either. These dogs are also used for pulling wild cattle down so they tend to bite and latch on for all they are worth. Generally not real social with the house dogs or good with sheep. The theory is that the micky will get up and head straight for the coaches where he will bury himself in the middle of the mob to hide. And you have to do that with most of the mickys you run (catch). If by chance it is open country and you are able to get a 4 x4 up near him, you can load him on the back bed but still won’t be an easy task. That is a very basic outline of what scrubber running is all about but there are a whole bunch of things that can and generally do go wrong as the stories unfold. There are also only a small bunch of old timers who can sit around and talk of that time with any authority. In today’s urbanized society they are sometimes treated with scepticism but simply put, the photos don’t lie.